for What Month Is It? The Curriculum Guide reinforces concepts in What Month Is It? through ten (10) pages of fun-filled games and activities. The guide is loaded with cross-curricular activities designed to get kids ready to read on their own and promote fluent reading. 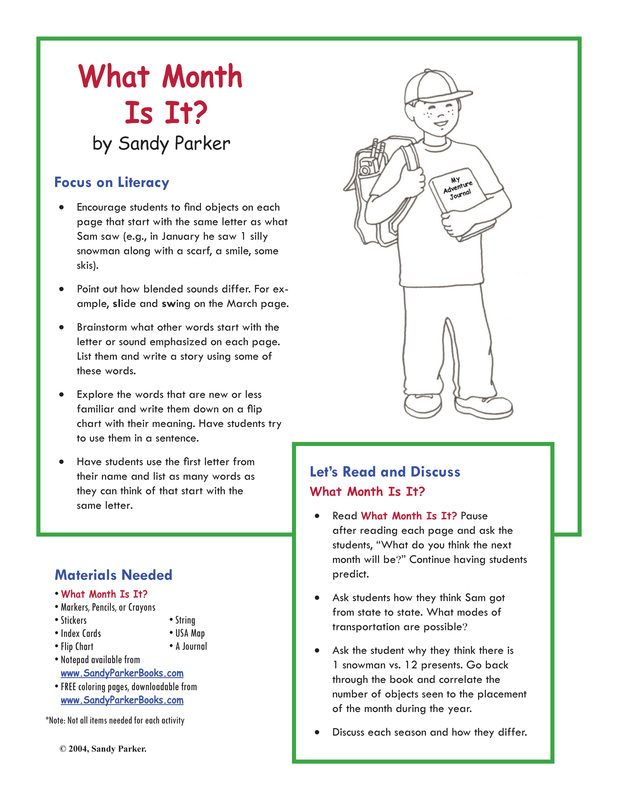 Activities are appropriate for use by teachers, parents, and librarians. After your payment is confirmed, you will receive an email with directions to download the PDF (electronic) file. SPECIAL NOTE: This is free with purchase of What Month Is It? Thanks for Visiting Canary Connect Publications! Sign up to receive notification when this website is updated with new information. Copyright © 2001-2009 Sondra Lewis and Dorie Fink. All rights reserved.